This account was established in 1843 to accept gifts, such as bequests, from individuals wishing to express their patriotism to the United States. Money deposited into this account is for general use by the federal government and can be available for budget needs. These contributions are considered an unconditional gift to the government. Financial gifts can be made by check or money order payable to the United States Treasury and mailed to the address below. Parkersburg, WV 26106-1328Any tax-related questions regarding these contributions should be directed to the Internal Revenue Service at (800) 829-1040. Yes, there’s nothing like throwing your money into a bonfire, so you can “express your patriotism to the United States,” because that is exactly what the above federal government page tells you to do. Sending your dollars to a government that produces dollars at will, surely is one of the least intelligent things a person can do, but hey, the government encourages it, so it must be right. Right? No, it simply is unintelligent. Not only does our Monetarily Sovereign federal government have no need for your dollars, but it actually destroys your dollars upon receipt. Every single dollar you send to the U.S. Treasury not only disappears from your pocket, but it also disappears from the total supply of money in America. If you owned a limitless dollar-creating machine, how many dollars would you have? If, while you owned that machine, I sent you $1,000, how many dollars would you now have? The answer to both questions is the same: You would have an infinite number of dollars. My sending you $1,000 would have zero effect on the number of dollars you have. The $1,000 would disappear into infinity. Can you imagine? People think we need their tax dollars! The federal government, being Monetarily Sovereign, owns that limitless dollar-creating machine. The government “has” infinite dollars, because it creates the dollars with which it pays all its financial obligations. The dollars you send to the federal government do not add even one penny to the dollars the government has. Those dollars are destroyed. And that includes your federal tax dollars. Even if the federal government received zero tax dollars, zero interest dollars, and zero dollars from any other source, it never would run short of its own sovereign currency, the U.S. dollar. The FICA dollars taken from your paycheck? Destroyed. The income tax dollars you send to the Treasury? Destroyed. Federal estate taxes? Destroyed. Federal excise taxes? Destroyed. All federal tax dollars are destroyed. In a normal country, the answer would be simple — just raise taxes. But in the United States, health care is so outlandishly expensive that the simple solution is anything but. Where Austria or Finland would be assured that a modest tax hike could (and did) cover everyone, America has to grapple with a bloated health-care sector eating up over 17 percent of GDP — nearly 5 points (or about $1 trillion) greater than Switzerland, the second-most expensive country. No, no, no, no, and did I mention, NO? The “really big tax hike” would be beyond stupid, as 100% of those tax dollars would be taken from our pockets and then destroyed. The best, perhaps only, basic choice is to have the federal government pay for everything, simply by creating dollars. This would avoid the negative effects of tax hikes and of service cuts. Why is American health care so expensive? Drug prices and administrative costs. America paid roughly twice the rich country median for drugs in 2015, at $1,443 per person, with $1,023 of that in the form of retail pharmaceuticals. France paid $697, while the Netherlands paid just $466. Secondly, fully 8 percent of American health-care spending goes to administration — as compared to Germany at 5 percent, Canada at 3 percent, or Sweden at 2 percent. Thus the first priority for a Medicare-for-all bill must be to cut administration spending to the bone. Given that this is largely down to providers having to navigate the hellishly complex and fragmented status quo system, this should be quite easy. Smashing down drug prices would be harder politically, but conceptually simple. You simply survey the drug market and set prices given an overall budget of (let’s say) $725 per person. We have a knee-jerk, negative response to the word, “expensive.” But, in a single-payer, federally funded, Medicare-for-All program, stimulus dollars would flow from the federal government (which has an infinite supply) to the private sector (which needs dollars for growth). Pharmaceutical companies, and their employees, and their suppliers all would receive dollars from the federal government. All these people would spend the dollars, benefitting thousands of companies and their employees. Similarly, administration spending would benefit all those who administer federal programs on both the private sector side and on the government employee side. Federal spending for Medicare-for-All would benefit many millions of people financially, improve the entire nation’s health, and stimulate the economy. One last thought: Not many people realize this, but Medicare Part B (medical insurance) is funded differently from Medicare Part A (hospital insurance). Medicare Part B covers medical services and supplies that are medically necessary to treat your health condition. This can include outpatient care, preventive services, ambulance services, and durable medical equipment. It also covers part-time or intermittent home health and rehabilitative services, such as physical therapy, if they are ordered by a doctor to treat your condition. Some of the preventive services Medicare Part B covers include a one-time “Welcome to Medicare” preventive visit, flu and hepatitis B shots, cardiovascular screenings, cancer screenings, diabetes screenings, and more. While Medicare Part A supposedly is funded through the FICA tax, Part B supposedly is financed through a combination of general revenues and premiums paid by beneficiaries. In both cases, I say “supposedly,” because all dollars coming to the federal government are destroyed, so all federal spending is funded by new money creation. While a mythical Part A trust fund often is said to be running short of money, Part B never is said to be running short, because even with federal government’s phony financing system, sufficient dollars come from the general fund. Rather than focusing on tax increases and spending cuts, the government should focus on the one implementation that would save lives: Pay for it all. A single-payer program would be much simpler and more efficient to implement than the complex, convoluted combination of multiple insurance companies, multiple coverages, multiple deductibles, incomprehensible Part D (drug) coverages, multiple home care, multiple long-term-care rules we now are burdened with. One source, that covers everything, and sets the price limits for everything, just the way Medicare now does, would take the labor and guesswork out of insurance. 4. Never can run short of the dollars needed to pay for anything. 16 Responses to Do you believe the single worst lie in the entire spectrum of government/media lies? I just listened to a talk by Joe Firestone. He said a couple of strange things about the currency creation. It’s an hour long so I’ve only seen it once. First, there are 3 ways to create payments, and currency. One is the direct payment by Treasury. Two is the platinum coin method which means payments can be spread out for years without doing it fresh every time and three is the Overt financing by Congress[OFC] Do you agree? Then he said that when Treasury extinguished the taxes sent to it it issued ‘money’ to balance it. Why would it do that? The platinum coin system would forever end the concerns about the phony debt. It’s a great idea that Joe had, and because it is a great idea, it never will be adopted by Congress. I don’t know what overt financing by Congress is. In any event, there are two ways to create dollars and two ways to destroy dollars. The platinum coin system doesn’t actually create dollars. It merely is an internal device to eliminate the debt the government owes itself. If the federal government actually spent the coin in the private sector, that would create dollars. Because the federal government has the unlimited ability to create its own sovereign currency, it “has” infinite dollars, which actually means it has no dollars at all. So, all dollars exist in the private sector. Overt Congressional Funding (OCF) is simply Joseph M. Firestone’s term for precisely what you advocate in your book “Free Money” and on this site. That is, Congress overtly authorizing the spending of money into existence *without* requiring it to be matched dollar for dollar by taxes and/or T-securites. Congress, of course, already implicitly authorizes the spending of money into existence in every budget and spending bill they pass. But OCF would remove the arcane and archaic rules that redundantly require such dollars to be matched. Of course, as you have noted there are good reasons for T-securites to still exist (a safe haven investment and a platform for interest rate control), but under OCF the market (i.e. investors), not fiscal policy, would decide how many dollars will be invested in any newly issued T-securites. And if interest rates on such T-securities were set by the Federal Reserve as a *support* rate rather than a *target* rate, the Fed would no longer need to buy such T-securities unless they truly wanted to. The Fed Funds Rate would do the rest. “In addition, the Federal Reserve is directed to fill the Treasury spending account with the additions to the Treasury Reserve balances necessary to repay all outstanding debt instruments including principal and interest as they fall due for the fiscal year of this appropriation”. I can’t tell if it’s a one off or an ongoing law. Joe answered my query about matching the tax destruction with new reserves. He said if it was so he had misspoken. The new reserves in the Treasury spending account come after the Treasury has extinguished the taxes. Getting the language right is quite tricky I find. The “Treasury’s spending account (aka the General Account) is part of the federal government’s internal bookkeeping. None of the federal government’s internal balances are part of any money supply. Only when the government buys from the private sector do these balances become dollars. Until then, they simply are internal notations that the government can change at will. Reminds me of being brought up Catholic. Priests, Bishops, etc. can create and destroy also. Their “intervention” on behalf of God allows them the power to rid-destroy your debt-sin and, conversely, they can put a guilt trip on you by sin creation where you OWE time in purgatory/hell for misbehaving. They can also inexplicably convert wine and bread into flesh and blood. Of course, none of this can withstand scientific scrutiny. In economics, which like religion also deals in “acceptance on Faith,” you are born in debt and in trouble unless it’s Forgiven by means of nonscience laws. There is no debt in nature. There is no miraculous conversion (such as photosynthesis) of one substance into another substance without explanation from metallurgists/chemists. However, we do have faith in nature, because She Really works! Nothing created, nothing lost. If economics is to someday be functional, it will have to drop the bull and incorporate natural thinking and principles. All the confusion around money creation–it’s here, it’s there, it’s gone, we’re broke, we’re not broke, is rediculous. We will have to invent Natural Universal Economics before it’s too late and we’re swallowed up by the consequences of our OWN world-around debt which we a-loan have “created” and only we alone can destroy. Trust in God? God helps those who initiate their own escape. As a fellow “recovering Catholic”, I second the motion. Anyone opposed? (Crickets) The motion carries. Excellent post as usual, Rodger. Indeed, sending one’s own money to a government that can create infinite money at will is like bringing coals to Newcastle only to destroy them in a bonfire. Might as well just take money out one’s own wallet and take a Zippo to it. Like the song says, “take that money, watch it burn!” A very dumb thing to do indeed. Only someone who actually believes the Big Lie would actually do that. Unfortunately, it seems that most Americans DO in fact believe that Big Lie. I’ve mentioned this before but it deserves repeating. 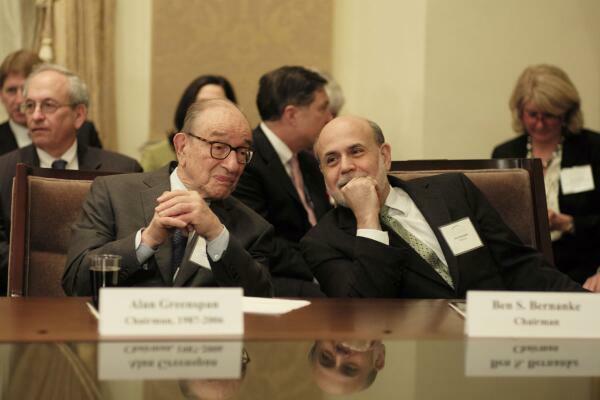 I can still remember years ago when Bernanke and Greenspan appeared on TV on two different weekends talking about the– at that time– national debt crisis. In essence, they both stated it’s a hoax and the USA can’t possibly go broke. The moderator in each case was silenced and incredulous, not expecting to be confronted by such a non-traditional explanation. The moderators were NBC’s Tim Russert who fell silent and changed the subject as did Chuck Todd. You think The Media is on our side? Not if monetary soverienty is too contraversial and brings good news. Perhaps this is why we hear nothing of it. After all, the “Voice of the People, is no longer what it was 70 years ago when NBC, ABC, CBS weren’t owned by money grubbing conglomerates selling everything from refrigerators to insurance. The news media is what “they” want to define and Control as news. And it’s generally all bad to keep your attention, except for the final tear jerker of the fireman saving the cat. But nothing of monetary soverienty’s hope, little or nothing of the latest hopeful breakthrough in science or of what science/engineering could do if turned completely loose by MS… everywhere. The old “can’t afford it” excuse will have to give way. Or it’s curtains. Seriously, if he’d of been born into an average family he’d be a car salesman and a pretty damn good one. So long as the cars are white, and the buyers don’t mind if the guarantees are no good. Every bill has 2 identical code numbers. If they recovered both code numbers from any one bill, they get the full value of that bill back. If they recover just one number, they get 50%. The government bureaucrats know this. They aren’t giving out money. They are redeeming titles to money. Not rocket science, even for a bureaucrat.